What’s the going rate for a socialist sellout? Bernie Sanders talks a good game, but this guy flatly didn’t want to be president. Either that or Bernie doesn’t want to give back that JET! Sanders acts like he’s already spent the money Hillary gave him. That’s what happens when you win the lotto. Before the money starts coming, people give you lines of credit. Sanders has already bought the new house, the his and her Ferrari’s for him and his wife. He’s made down-payments on the house in the woods, and the beachfront property, where he will build soon. Both Sanders and Elizabeth Warren were outspoken critics of Hillary Clinton. Now they endorse her, if now wholeheartedly. They confide that beating Trump is the mission, and supersedes all of crooked Hillary’s malfeasance. Regardless, almost all the speakers have been met with a cacophony of boos. The Democrats have elevated Sanders’ role at the convention, in hopes he can quell the hordes. It’s said that the Democrats have been parading their now wealthy socialist from delegation to delegation, in hopes he can spread the word to get everybody on board with the program. The very people who cheated Sanders out of his shot, now depend on him to hold back the tide. The message is simple: stop Trump. In his speech, Sanders was booed, and he commented. The crooked Democrats are cautiously optimistic, as the first couple of days have been a horror show. They hope that giving Sanders a bigger role in creating the new platform, they can settle the masses. They believe most of the Sanders crowd is about more government and getting free stuff. That’s a big contingent, no doubt. But another segment is for fairness, accountability, and fighting the establishment, i.e. the elite. They detest crooked Hillary Clinton. WikiLeaks hasn’t helped, and neither has Hillary Clinton’s “get out of jail free” card on the secret server. Who knows what other skeletons wait to fall from the Clinton closet that housed that server? Democrats have hopes that most of the opposition to Clinton among the delegates comes from states that won’t be in play in November. Who knows? I suspect many more states will be in play than they anticipate. Trump hasn’t even started spending money yet. 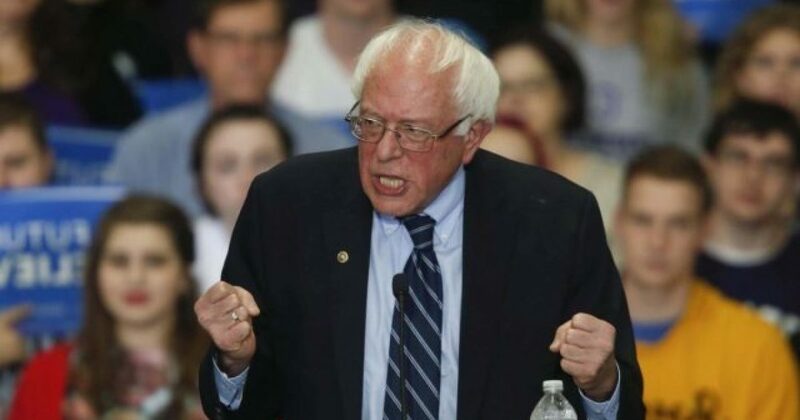 One thing is for sure, Bernie Sanders loves being a 1%er and clings to it like a man who can’t swim holding to a buoy.